Note: In the walkthrough below, I will change my default landing page to a custom welcome screen. It is not a must to use a static page as your custom landing page. You can use any page in your blog for this purpose. It is important that you have a Pages gadget in your blog so that you readers can navigate from your new landing page to your blog posts. If you don't already have one, add it by going to Dashboard - Pages - Show pages as - Top tabs. Just FYI: You might be wondering why this step is necessary. Here's why. Though you can easily change the default landing page, it is important that sufficient measures are taken to ensure your readers have the options to view your blog posts. Otherwise, your readers will only see your new landing page + your pages links, and no way to view your blog posts..
You don't have to create a new page to serve as a landing page. You can use any page/post in your blog and set it as your new landing page. But if you haven't created a custom landing page for your blog, this will be a good time to do so. 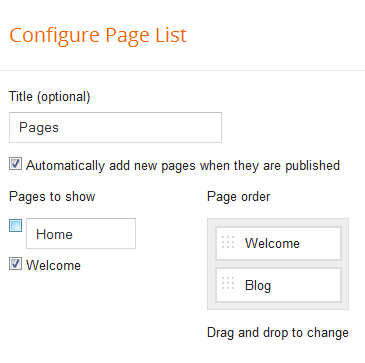 Under Dashboard - Pages, create a new static page by clicking on New Page - Blank Page. Design the page as you like. You might want to leave a link to your blog posts by entering a text that says 'Click here to continue' or something to that effect. Link it to the URL that you've used in Step 2.. Publish your new landing page when when you're done composing. You only gonna need the part after the .com for the next step. This is the portion that I'm referring to. Check the box that says 'Permanent' next to it. 1) In your pages menu, you'd probably have 'Home', 'Blog' and the link to your new landing page (in my example, I named it 'Welcome'). Now, you'd notice that the 'Home' link and 'Welcome' link serve the same purpose. You might wanna remove one of these links by going to Dashboard - Layout - Pages - Edit - Uncheck either the 'Home' box or the box next to your new landing page. 2) Since your landing page is probably gonna be a static or post page, you'll see your comment box on the very front page itself. You can turn this off by editing your landing page, and on the right-side column - Page Settings - Options - Reader comments - choose 'Don't allow, hide existing'. Click 'Done' and 'Update' when you're done. 3) Having sidebar(s) on your welcome page might not be desirable, especially when you could use the space to widen your new landing page. Click here to check out a tutorial on how you can remove sidebar(s) and maximize width on selected page(s). I just want say... WOW!!! So I am using Blogger Dynamic (Magazine) for my blog. It originally offered a font named "Syncopate" as an option, and I liked it a lot. 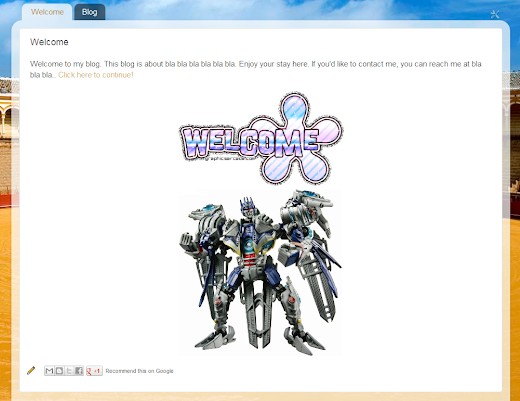 I wanted a bolder version of it just for the Header Page Tabs (Home, About me, etc), but not for the rest of the blog. I used the google web font "Syncopate," which was much bolder than the original one offered on blogger. I added it's code to the CSS option in advanced settings, but now it wont let me choose the thinner version anymore. It only offers the bold one. I tried to undo it to get back to the "thin" version of Syncopate, but I can't find a way. 1) Remove the CSS in your 'Add CSS' box. 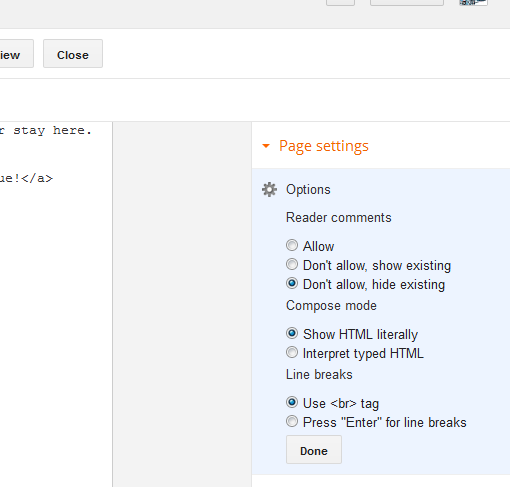 2) If you've added a line to your 'Edit HTML' in the process of adding the Google Web Font, remove it as well. 3) Create a dummy blog, and choose the Syncopate font there. Get back to me once you get these steps done. If we can get the Syncopate font in an untempered blog, I can compare what's making it look different in your current blog (with current tweaks removed)..
Hi yoga I just want to know, it is effect the seo ? I Would like to remove the border/shadow from the Classic DV template. Yeap, possible. But it'd be better if I could have a look at your blog first so that I could suggest an accurate answer. What's your blog's address? I want everything/background to be white - the border kinda kills everything. Disclaimer: I sell stuff on my blog, however, this is a serious inquiry. I want to make the Classic DV theme the only theme that visitors can use. And I would like to have a divider between all my links on the tab. same as the one that divides the theme tabs from the rest. However, when adding this to my template, nothing happens. The code in the forum is a personalised one. It really boils down to the kind of template you're using. Let's have a look at your template. What's your blog's address? I can't find the code anywhere in your blog. Use the 'Add CSS' box to add this code. Don't attempt to add it directly in your 'Edit HTML' box. Once saved, close your browser and go back to your 'Add CSS' box to make sure that the code is still there. Some browsers do a poor job in keeping the code there. Your code didn't get saved, just as before. If you go to your 'Add CSS' now, you wont see the code that you've entered. Try using different browser, or try pressing enter after the last line of the code. Make sure the code is there when you view the 'Add CSS' box after restarting your browser. Aha, I see what you mean..
Never mind but thanks for the help anyway. It should show by default, except in certain circumstances when there is no older posts, or if the link itself has been disabled. Let's have a look at your blog. What's your blog's address? I have never disable it though.The 'newer post' keeps showing and the will be no 'older post'. Thanks , it works but can I remove 'newer posts' only in "/search?max-results=2" ?. I do not want to remove it in other page. I've tested out the fixed sidebar and it actually looks decent. The problem I am having is that as you scroll down the white space that was previously occupied by the header remains. Is there any way to remove this? I currently don't have the fixed sidebar on because of this. Yes there is a way to remove it. But before I go on, let me suggest to you a template with sidebar separated from the rest of the blog will be much easier to work with, compared to the method that I'm gonna suggest. So, to remove the white space, you're gonna leave the comfort of simple-tweaking and enter the world of madness - that's when jQuery comes in. Bigspotteddog has created an awesome widget that could achieve what you're looking for, and it's called ScrolltoFixed (google it). This could simplify your task and you won't have to start from scratch. Unfortunately, this isn't something that I could help out as this is a major blog integration. Took me weeks when I tried to successfully install this widget the last time I tried. But there's the only way you could do this. thanks for the tutorial! i tried it on my webstore, www.lovefiiefiie.com (on blogspot), it worked perfectly, the only downside is that it doesnt appear as that when viewed on a iphone. I had tried turning off the mobile view, but yet i i still view it as the original dynamic. with lots of lots of long posts. i hope you get what i mean! Thank you! It seems like the custom redirect isnt working with mobile view. I've taken this up with Blogger, but I havent got a reply. Is there a way for the custom redirect to be the same when accessed on a mobile device? On mobile devices I am redirected to /?m=1 and that isn't what I want. I'd like it to go to the same redirect it does on the computer. Help please? I've informed Blogger about this, but it doesn't look like they're gonna do anything to enable custom redirect in mobile view. I'm just curious to know if there has been any updates/solutions to the problem of not being able to redirect to the landing page in mobile view. Thanks! same problem here. Your tutorial is awesome! :) I like my own welcome page to be displayed first. And I really happy when it works as you said. But then someone told me about the device problem. My website was just totally can't be displayed on mobile device :( So I changed it back to default now. Hope Blogger will fix this..
Love your site!! I have used it several times for various different things. I used this tutorial to have my blog be redirected to a welcome page but had a bit of a hiccup and now can't fix it. The blog opens up to my welcome page no problem but now whenever I click on the blog tab it continues to just redirect to the welcome page. Therefore, no one is able to view my blog updates. Any suggestions? Thank you so much!! In fact, after the mod, http://ruffguides.blogspot.com will be pointing to your welcome page alone, and http://ruffguides.blogspot.com/search will be pointing to your actual blog posts. This tutorial is great!! I had done the old tutorial on Setting up Homepage a year back on my blog and I'm wondering if there are any steps to undo if I want to use this one instead? I had to add a html widget, hide a page, change alot of stuff in the edit html etc.. and I'm not good in coding either. Simply delete whatever you've added and you're good to go :) If you've restructured your pages gadget back then (the option to add external links in pages gadget is fairly new), just delete the gadget from your Layout page and re-add it. I managed to get everything done, but now for some reason I unable to change my blog's background image. Did I do something wrong? What happens exactly when you try to change your background? Could you also try changing some other attributes in your template (post title font, link color, etc) to see if your Template Designer is still fully functional? The image of the background I want to use appears in the thumbnail, but the blog remains in the previous background colour even after I apply it. The Adjust width function works, but the rest of the other attributes don't work at all. Woah, did I do something wrong? The template designer is broken for some users for some time now. Some affected users have reported success with Internet Explorer. Could you give IE a try? Thank you so much - Really makes the dynamic view work! You're essentially looking for a 'drop-down menu'. There are plenty of tutorials around that could help you to achieve what you're looking for. I can't single out a particular site over the others, as each tutorial could yield a different result, and ultimately, you're gonna have to be the judge. Here's what I suggest. Set up a test blog, and make it look as much like your current blog. Then, google search for 'Blogger drop down menu' or 'Blogger CSS drop down menu' or 'Blogger multi level drop down menu', and give some of the tutorials a try. This site is extremely cool! Not like other wannabe tutorials! I'm sorry I don't speak this language. Could you use google translate or something and translate it for me? Great post! Got my welcome screen set up and am clicking on to learn how to hid the side columns. I'm not quite following. The link in your comment above isn't working. he must mean removing read more button to get full view of a post. If the 'Read More' feature is there, it must be a custom template, or the user might have added the script manually. In any case, disabling the feature, that is by removing the script, could help. Do you wanna remove the script from your template? I'm gonna have to look at your source to find the script if I were to suggest anything. Great How-To, but it got me thinking- If I instead wanted my Blogger based Blog to link to another site, say a Wordpress Blog, how could I do that? Just wondering because I heard that Blogger is far from ideal and if I wanted to switch services without alienating my readers, I'd have no clue how. Thanks for the Tutorial though. Definitely considering using it. 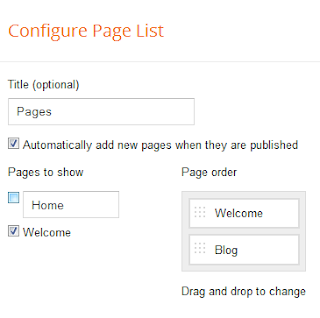 The built-in redirection feature in Blogger can only be used for pages within the same blog. If you wanna redirect your readers to a new domain, I think the best way would be to setup redirection at your domain name provider. You can't do it within Blogger alone, unless if you wanna setup a link in your from page stating that you've moved to a new domain (which means the redirection will not be automatic, and it depends on your readers if they wanna proceed or not). I can't change the 'show page as' to 'top tabs' (step 1).Any reasons ? You're using a Dynamic View template. Your pages gadget is already shown as 'top tabs' by default. You can skip this step. Thank you for your solution!May I ask how I can remove the name "blog" from my pages? Go to Dashboard - Layout - Pages - Edit. You should be able to remove the 'Blog' link by unchecking the box. You could also rename it to something else, as you like. WOW, its working. Now I am facing another problem how to go back home page? my blog is www.cktinfo.blogspot.com . Waiting for your reply. Did you perform Step 2? Help!!! I did this but i tried putting the end of the web address in for the from section coz it didnt work. Now my blog has turned into a white screen and i have no way of changing it back coz i cant get on! What is your blog's address? And where exactly is this 'from section' that you're referring to? Have you tried reversing the steps? how to remove default homepage in my blogspot site. Pages Show pages as [Don't show] yet show Home option. Thanks a million Yoga for your cool tweaks. By the way, my blog (techtocore.blogspot.com)seems to load slower than before. Any reasons ?? It is known that Dynamic View templates choke up a little bit more bandwidth than the regular templates. This native nature, coupled with increasing number of customisation, could be the reason why you're reaslising a slowing speed in your page load. You have awesome tutorials and service, Yoga. 1. How can I remove date ribbons from all magazine views? 2. How can I make this address be my home page? 2) See Step 5 in the tutorial above. Hi YOGA please help with my blogspot. its dynamic view blogger template. (davideography.blogspot.com) . i want to remove "no posts found" at my homepage. thanks and more power. I do not see this tag. Where exactly are you seeing it? how about adding link (image or anything like affiliate site link over image) below of my homepage ,like adwords. thanks in advance. @Anon: It depends. If you're using a Dynamic View template, you need to use a Pages gadget to add links. You rock! This is exactly what I needed to know. You laid it out so clearly. You should be able to change it via the Template Designer. Go to Dashboard - Template - Customize - Advanced - Header Bar. I'm not sure if I'm following. What text do you want to insert before your post? Can you provide an annotated screenshot showing what you're intending to do? I don't see the code that I gave you anywhere in your blog.. I removed because it remained completely unchanged ... I insert it in "add CSS" ok? Yeap, let me know once it is there. can you tell me how to remove background? Technically, you can't remove your background, but you can change it to white, if that serves your purpose. Try going to Dashboard - Template - Customize - Background. hey, would you check this out? the WHAT'S GOING ON page is the previous homepage, but now, it can't be accessed since the new home page is UNDERSTANDING CONCEPT. it's definitely link problem, but could you help me? Looks like you've completely ignored Step 2 from the tutorial above. Perform the step and you should be able to see your posts again. but i wonder how i can get rid of the actual home page WHAT'S GOING ON? oh i should kill my self, i found it when do the tutorial from the start. thanks! been wanting to change the 'welcome/home/landing page' and and it's been so long I couldn't remember how I had directed it in the first place! 1) This could be a bug with either the system, or the template. I'll give this a try and let you know how it goes. Nice work. thanks for the tips. it was very useful. Hi, Yoga Master :) How can i post my ads on the homepage of my blog, is it possible to do that. If you're referring to a Dynamic View blog, the only way is to signup for AdSense, and get approved. Thanks a ton bro! I was searching for this for a long time. Hey Yoga, I want to know if I want to customize that landing page or add some special widget ? I guess, I'd have to add css to my template, Is that right? I want to show only 2 of my latest posts on my landing page just like blogtipsntricks.com, how to do that?? Actually I wanted to learn how to create custom landing page for blogger, so set up this blog: bloggingshore.blogspot.com and trying to set up a custom homepage like blogtipsntrick.com (actually love that blog and your's TOO) but the author isn't replying. Is it enough to be more helpful for me. Worked perfectly! Thanks so much. Have a good weekend! Can you help me,I have a blog techkev.com. On homepage my post images are shown in the middle,but I want to show it on left side and the text summary at the right side. 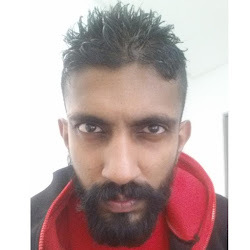 I don't see any images in your blog, what am I missing? Thank you. That was a fantastic walk through. I had tried a lot of other forums till I landed on your blog and it was of great help to have you explain it with so much clarity and pic views. How do I keep from losing the link to where the blogs post? After following your instructions, whenever I click on the "blog" tab which was the default homepage before it redirects me to my new homepage. So I realize the problem that I am having with step 2 is that I had already made the default page and I don't see anywhere where I can edit the url for it. So I tried all the steps. And after I did the redirect step it said that my page could not be found! So I had to undo everything... The current page that I have for blog (now that I undid everything) just says View/Delete and there's no way for me to edit it to become my homepage (that I could see at least). That's strange. Are you seeing the 'View/Delete' for your page titled 'Home'? My Blog page, which is my current home has an Edit/View. My Welcome page (which used to be called "home"), but is not my home page, has a Edit/View/Revery to Draft/Delete. When I create a new page using the web address option, I get an Edit/Delete option only. Pages linked as 'Web Adresses' will only show Edit/Delete, so this is still standard behaviour. If you've reversed all the steps, you should be back at square one - which is good, coz now we can start fresh again. Let's go step by step now. 1) You already have your pages gadget in place - Step 1 check. Let's get this done before moving on to the next steps. Get your current 'Blog' link deleted or modified, and get back to me once this is done. but why must be /search ?? but why must be /search ? how about another page? Well, since your homepage doesn't bring you to your list of posts anymore, we need to have a new URL to list all your posts. Ans /search is one of the tags Blogger uses to categorize your posts. When you don't include a label to search for, it displays all posts - bingo. Thank you for this tutorial. It's been a great help. You've taken me through the steps very clearly and easy to understand. Great tutorial, clear, easy to implement and it works. Brilliant. Thanks for sharing. Hey Yoga, i have a blog shiftnburn.com. The problem i am facing is that i can't increase the number of posts that show up on the homepage. The page is showing 5 posts at most, and i have increased it to 10 from the settings under Layout, but its not working.. In addition, it looks like you're using a custom template. There's a very big possibility that the number of posts that are showing on your homepage is hardcoded in your template. He y Yoga....greay stuff here! Has there been progress with G team and correcting the problem of redirecting from mobile devices? I don't find the code anywhere in your template. Could you re-insert the code back into your template and get back to me if it still isn't working? This is working great for me, but then when I try to access it from my phone, it says there is a problem with redirect loops? Usually it'll just go to the blog page when you go to the blog on mobile. Any ideas/advice? There is a bug within Blogger that isn't allowing the redirect to work with Mobile templates. For now, the only two options are either to disable the redirect, or disable the mobile template. Hello and thank you for all the help you give on this blog and with your tricks! I learned a lot from your tutorials! There is a question, since I made the static homepage, my blog will not show anymore in mobile advices. Have you got an idea how I could fix this? If I type the name of my new homepage, I'm able to see it on my phone without problems, I should forward the domain for mobile advices to this specific domain of my homepage, I think, but don't even know if this is possible. This is a known issue. There is a bug within Blogger that isn't allowing the redirect to work with Mobile templates. For now, the only two options are either to disable the redirect, or disable the mobile template. Thank you so much! This tutorial is exactly what I was looking for. But when I tried to do the page redirect, I got a comment that said "The source and destination values cannot be empty or more than 256 characters and must start with /". What should I do? In Step 5, what have you inserted in the 'From' and 'To' field when you get this message? I put int "www.eustaciatan.blogspot.com" in the From field and "www.eustaciatan.blogspot.com/p/welcome.html" in the To field. Can you tell how they did this? I need this type of homepage for my blogger..Kindly help me..It would be very thankful to you.. It's a custom template. See if you can contact the owner of the blog. There isn't much I can do if Adsense doesn't approve your application. Have you contacted them for reasons for rejection? As for your custom template, have you tried contacting the maker of the template? http://worldtravelerandbaker.blogspot.com/raw-thoughts-on-yoga-food-healing-new.html <--- is this an actual address? Redirection requires you to input an actual address. From Page A to Page B. Both pages must exist. Hi, nice and useful tutorial :) So I did all this, set a static home page, however, I messed up the domain name settings, as my blog was connected to a domain name I have previously purchased. Question: how do I set the new Home page with the domain name? I'd suggest you to setup the domain name first, before setting anything with the redirection. Make sure yourblog.blogspot.com can be accessed via it's custom domain. After that, follow the same steps above, but instead of blogspot.com, use your custom domain. Do you already have the new home page created? I see you're using a custom template. It is best to contact the author of your template. Thanks for the information bro.... really usefull. i never thought that blogspot can be redirected this way. I used to use a blank page to redirect, but the problem is everytime i create new post i must re create that redirect page. But it has been found, in some cases, that CUSTOM REDIRECTION leads people visiting the website via mobile unsuccessful. Just whenever a person visits a message is being shown stating that the document has moved here. & nothing else happens. Do you know how to fix it? This is a known issue, and Blogger is aware of it. But I've got no clue if anyone is working on it at the moment, since it has been around for some time now. Yeah, thought so! By the way, thanks for taking this problem into consideration. From what I can gather, you want your homepage to show your posts, which is the default behaviour in Blogger, but you're seeing your static page instead, am I right? It appears you do have redirects setup, why not just remove it, and things should go back to normal? Simply go to Dashboard - Settings - Search Preferences - Errors and redirections - Custom Redirects - Edit - Check the thick box - Delete. I don't have a redirect anymore. But what I can't figure out is how to keep my posts that I want on a specific page to not show up on the home page as well. I've fixed the previous problem, but now find this one.